I may as well own up straight away – and please don’t judge me – but I love The Only Way is Essex (TOWIE). I don’t do spray tans or wear short skirts in the midst of winter (or frankly even in the summer), but I can’t miss an episode. And apparently, I’m not alone – figures released this week show that TOWIE is the most tweeted about programme on TV currently. On Sunday 3rd March, the show attracted 89,616 tweets at a peak of 3,039 tweets per minute. This was ahead of Top Gear on BBC2 and Got to Dance on Sky One. Interestingly, it’s not just the high production values and mass interest shows like X Factor which are drawing these kind of tweeting volumes – Sunday Brunch on C4 at 9.30 in the morning generated 6,877 tweets, more than Being Human on BBC3 and Dancing on Ice. When I planned and bought TV in the dark ages, there were only two things you needed to worry about: (a) how much you paid for the spots and (b) where they were in the programme. Today, conversations and even more critically, the fates of individuals are in the hands of the Twitterati, from who wins X Factor, to I’m A Celebrity Get Me Out Of Here – where the level of tweeting grew throughout the programme. Delving into the numbers from the final in 2012, we can see that in analysing the nature of the tweets, the winner and runner-up’s fortunes were created throughout the show. Research from Brandwatch shows that tweeters are much more negative about TV shows as they are being aired, but more positive after the show ends – so there could be interesting TV buying routes around this as well. In addition, brands that include a hashtag cultivate online conversations with 44% of tweets about the commercial, compared to 16% for brands which didn’t include it. Different types of programmes and viewer engagement will determine differing tweeting patterns. 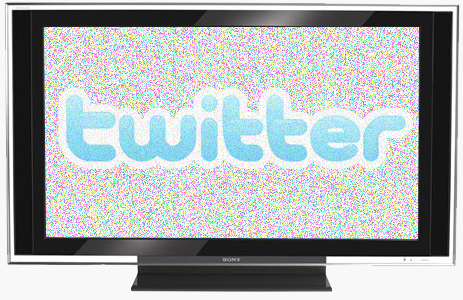 The above research from WaveMetrix shows that tweets around factual shows happen before the broadcast, which may suggest that paid-for media could be best optimised at this time, rather than during the centre breaks of a programme, which have traditionally demanded higher premiums and are more sought-after. This is probably due to the lower ‘excitement’ or ‘wow’ levels of the content of these programmes. In the US, Nielsen and Twitter announced an exclusive agreement to create a ‘Nielsen TV Twitter Rating’ which will be available for measurement later this year in America. This effectively combines the effect, and critically, worth, of the paid for TV rating incorporating free and paid-for media. A perfect example of this came during this year’s Superbowl. The game pretty much took second place to the power outage that occurred during the game. At its peak, Twitter experienced 231,500 tweets per minute, which is well above the most tweeted game moments. But the brands that embraced Twitter gained the most momentum and PR coverage. It took just four minutes for the first promoted Tweet to appear against searches for power outages, and some brands took the innovative step of that opted out of paying but used the #blackout hashtag to gain large volumes of retweets.